Fake rice fashioned from potato starch and plastic, unripe oranges dipped in dye, spices seasoned with sawdust and alcohol brewed from antifreeze. Welcome to the creative and potentially fatal world of the food fraudster’s kitchen. 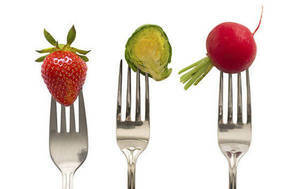 We look at why it’s happening and the top 10 foods most at risk. Food fraud is an age-old problem. Reports of adulterated olive oil and wine can be traced back to ancient Rome. But the problem didn’t die with the Roman empire. 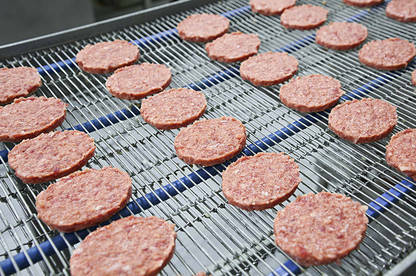 Europe’s “horsegate” scandal in 2013, where consumers learned their beef burgers were tainted with horsemeat, spurred regulators to pay renewed attention to the issue. On this side of the globe, fake free-range eggs, faux organic produce and phoney honey have been on the menu. 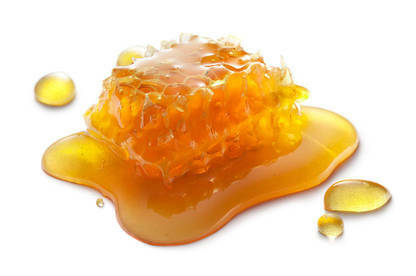 Both honey and organic products are on a list of the top 10 foods most at risk of food fraud. Olive oil, fish, milk, grains, coffee, tea and spices also feature. The lure of easy money, coupled with a low risk of being caught, are the main motivations for traders passing off products as something they’re not. Best estimates suggest food fraud affects about 10 percent of all commercially sold food. But there are warnings the figure could rise, aided by global food manufacturing processes that are creating a more favourable environment for fraudsters. Dr Helen Darling, a food safety consultant who heads up local company Asia Pacific Centre for Food Integrity, says long and complicated supply chains mean it’s possible for numerous companies to be involved before a finished product reaches the consumer. Long and complicated supply chains mean it’s possible for numerous companies to be involved before a finished product reaches the consumer. If you think about a processed food product, the raw ingredients can be sourced through a range of supply chains the manufacturer might have little control over, she says. Recent testing of dried oregano by Australian consumer group Choice is a case in point. Seven out of 12 products tested were found to be adulterated with olive leaves. Two also contained sumac leaves. Consumers ultimately bear the brunt by forking out more for a product than it’s worth. But the impacts don’t always end there. “If a kiwifruit has the wrong label, it’s still a kiwifruit. 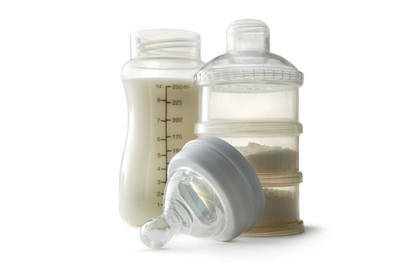 But if a can of infant formula has been refilled with something inferior, that is dangerous,” Dr Darling says. Richard Evershed, a professor of biogeochemistry at the University of Bristol and co-author of a 2016 book on food fraud called Sorting The Beef From The Bull, says China’s melamine-tainted milk scandal revealed the “sinister” side of the food fraud business. Close to 300,000 children became ill and six died from milk powder contaminated by melamine, added to boost protein levels in the milk. Professor Evershed says there’s a game of “cat and mouse” being played between the scientists charged with detecting fraud and the criminals committed to the cause. Close to 300,000 children became ill and six died in China’s melamine-tainted milk scandal. “Just as the detection techniques are getting more sophisticated, so are the scientific methods for committing fraud. If the fraudsters know that watered-down milk is going to fail a test owing to its low protein count, they find a way to adulterate it further to get it past that test,” he writes. The culprits in the melamine case had enough scientific knowledge to work out melamine could be used to fake protein levels and their actions were quite calculated, he says. Internationally, the potential financial gain from food fraud has also seen a growing involvement of criminal organisations, law enforcement agencies report. Interpol and Europol, the EU’s policeman, launched a joint operation in 2011 targeting organised crime networks behind food fraud. The agencies reported seizures of more than 10,000 tonnes and a million litres of hazardous food and drink last year. Among the products were 85 tonnes of olives that had been painted with copper sulphate solutions to enhance their colour. Dr Darling believes New Zealand’s size may be an advantage for consumers. “Because we’re a small country, there is the ability to track down the supplier or the importer and ask questions,” she says. But companies also need to be well acquainted with their supply chains to provide answers. Northland egg farmer John Garnett got away with falsely labelling cage eggs as free-range or barn-laid for more than two years. He managed to evade detection for so long because no one was checking his claims were genuine. Before he was prosecuted in 2014, close to 2.5 million eggs were sold at an estimated value of more than $1 million. 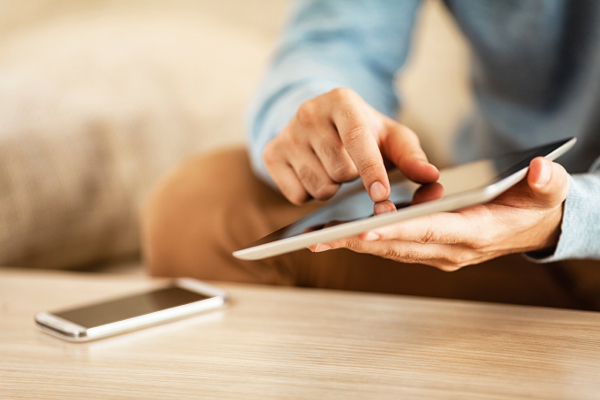 Some companies are looking to technology that may eventually let consumers scan a product with their smartphone and get information on its provenance. 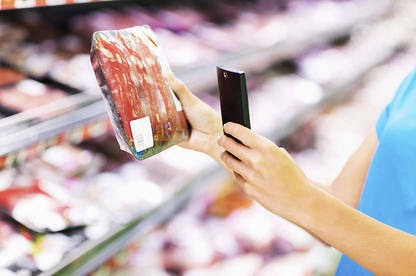 Some companies are looking to advances in labelling technology that may eventually let consumers scan a product with their smartphone and get information on its provenance. But the technology isn’t here yet. The Ministry for Primary Industries says it’s considering whether improvements are needed to enhance protections against “emerging threats”. Speaking at a food integrity conference last month, food safety minister Jo Goodhew said adulteration and contamination of food were “not just New Zealand’s problem, they are global challenges that demand global solutions”. A 2013 European Parliament report listed the following food categories as most at risk of fraud. 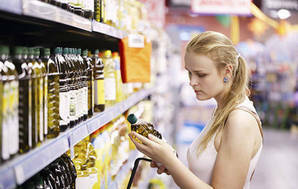 Reports of adulterated and falsely labelled olive oil regularly hit the headlines. In 2013, an Australian company was fined A$20,400 (NZ$22,000) for selling “extra virgin olive oil” that was 93 percent canola oil. Fish fraud typically involves traders passing off a cheaper fish species as a premium product to reap the financial returns. Labelling farmed fish as “wild-caught” has also been exposed as another trick in the food fraudster’s kit. Manufacturers falsely labelling products as organic to cash in on consumer demand have been prosecuted both here and overseas. In 2006, an Auckland butcher was fined $10,000 for falsely claiming products were certified organic. China’s 2008 melamine-tainted milk scandal is one of the most widely reported examples of food fraud. 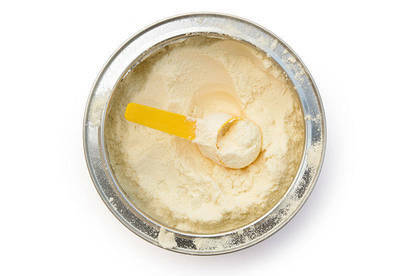 Nearly 300,000 children became ill and six died from milk powder contaminated by melamine. Flour bulked up with additives, such as chalk, and rice varieties falsely labelled as higher-priced basmati are among the cases reported in food fraud databases. Highly priced manuka honey has inspired fraudsters to falsely label other honeys with the manuka stamp. Sticky questions have also been raised over attempts to artificially boost levels of methylglyoxal, a marker of manuka’s famed anti-bacterial activity. Cane sugar masquerading as maple syrup has also been on the menu. 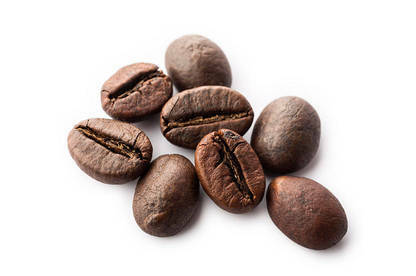 Like grain products, coffee and tea can be adulterated with fillers to bulk them out. Because these products are finely ground, it’s extremely difficult to tell by sight if anything has been added. Falsely labelled “Spanish saffron” was revealed this year after DNA fingerprinting of 44 products in Europe found over half didn’t meet their label claim. Spanish saffron sells for a premium because of its reputation for superior quality. Last year, UK authorities seized 10,000 litres of fake or adulterated alcohol. Across the Atlantic, a US rare wine merchant was prosecuted by the FBI in 2014 for flogging US$30 million (NZ$43 million) in counterfeit wine. The fraud involved pouring cheap wine into old bottles that had forged labels. In 2009, several juices were voluntarily recalled after testing by the Commerce Commission found products labelled as 100 percent blackcurrant juice and 100 percent peach juice contained little or no traces of fruit of any kind. a suspicious taste or smell. Complaints from UK consumers about metallic tasting pine nuts led to the discovery in 2010 that products had been contaminated with an inedible type of pine nut imported from China. If you believe a product isn’t true to label, report it to the Commerce Commission. Let us know too — contact us at info@consumer.org.nz. Our food and nutrition reports will keep you in the know about topics such as serving sizes, farmed salmon, children's cereals and artificial sweeteners.